Update 13-Dec-2017: This article was written when I was only a few months into my journey through Sync. They key information and links in this piece remain accurate and relevant, and I will be leaving it here in its original form as a record of my early impressions of the field. In time I will publish a new ‘Introduction’ which will incorporate insights gleaned in the time since this original piece was released, but there is no rush to do so because this article still serves its intended purpose: an introduction to the field of Sync. If you find this introduction interesting then you are encouraged to check out my more recent article: ‘The Sync Books – What a Trip‘. 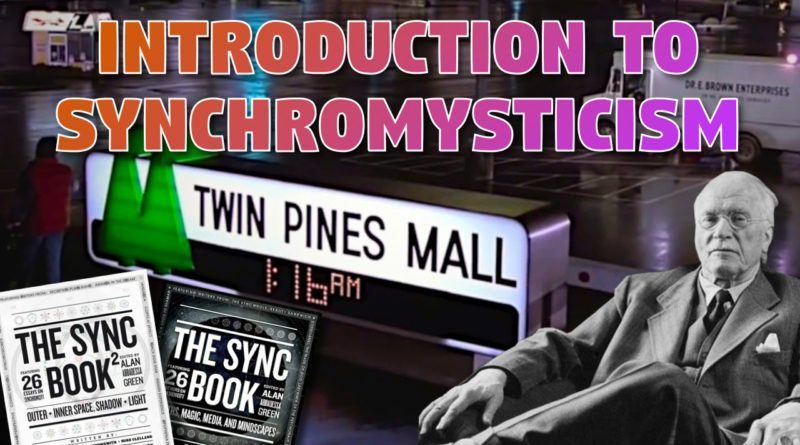 The term ‘synchromysticism’ sounds like the kind faux-intellectual, New Agey nonsense one might expect to find peddled by psychedelic-fuelled hippie-wannabes lurking in the ‘dark corners’ of the internet. It turns out that in many cases this is pretty close to the truth. Dig a little deeper, though, and you may soon come to realise that this field of inquiry yields more fascination with (and insight into) our existence than most other areas of ‘alternative research’ combined. In this article I will provide a brief overview of my own research into ‘sychromysticism’, with focus on the topic itself, the online community and its key people, and the value it may offer those who explore it for themselves. The following video by Joe Alexander (see below for more information) is what first got me interested in the topic. To this day it appears to be the most popular ‘synchromysticism’ video ever produced, with millions of views on YouTube and coverage in several mainstream media publications. If you watch this video and see/feel no value/intrigue in the information/ideas presented, this article might not be for you at this point in time. The article is centred upon a compilation of the key information I have found during my research into ‘synchromysticism’. 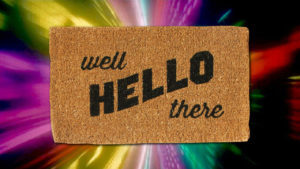 New visitors to this site should bare in mind that, as an independent researcher and content creator, I am interested in the social dynamics and history/chronology of ‘alternative research’ and related online communities, as well as the content/claims of that said research/communities. Moreover, I use this website as both a means to share my research with others, as well as a method for documenting and archiving that information for future reference. This article therefore is neither standard prose nor reference material, but rather something of a combination of the two. Kotze began blogging on the topic around 2006, and his work went on to influence/inspire a number of other individuals who started writing their own blogs and producing videos. Much of their work focused on the coincidences to be found in Hollywood film. By 2011, there were enough people involved in the burgeoning online community for the production of a collaborative work entitled The Sync Book, compiled and edited by Alan Green, featuring 26 separate chapters by 26 separate contributors. This was followed about one year later with a sequel, The Sync Book 2, following the same format and with 26 new contributors. These books were promoted in conjunction with the website thesyncbook.com which remains active to this day. New podcasts featuring prominent members of the ‘sync community’ are posted to the site regularly and can be downloaded free for two weeks, after which they are placed behind a paywall. Kotze and others have been interviewed by the likes of Red Ice Radio, the Corbett Report and Vinny Eastwood. In 2014 a small group of them convened for a ‘Sync Summit’ in Olympia, Washington, which attracted a number of guest speakers including Rodney Ascher of Room 237 fame, and Marty Leeds, who is well-known in alternative circles for his ‘mathemagic’/’sacred geometry’ work. Videos from the summit suggest the event attracted a crowd in the low dozens. It was at the 2014 Sync Summit that Joe Alexander (barelyHuman11) premiered his Back To The Future Predicts 9/11 video. An updated version was posted to YouTube in July 2015 and a few months later received unprecedented attention from the mainstream media, with articles appearing in The A.V. Club on October 19, The Washington Post on October 20, The Atlantic on October 21, The Mirror on October 22, and The Metro on October 23, among many others. This coincided with ‘Back to the Future Day‘, on October 21, 2015, which was a significant date in the timeline of the Back to the Future series. This mainstream coverage helped the video reach a much wider audience than ‘sync’ videos typically enjoy, and as at April, 2017, the video is listed by YouTube as having had over three million views. Despite the sudden attention, the broader field of synchromsyticism does not appear to have grown commensurately, and to this day remains a fringe (and largely unknown) element of the broader ‘alternative research’/’conspiracy’/’truth’ segment online. It is impossible, with our present resources, to explain ESP, or the fact of meaningful coincidence, as a phenomenon of energy. This makes an end of the causal explanation as well, for “effect” cannot be understood as anything except a phenomenon of energy. Therefore it cannot be a question of cause and effect, but of a falling together in time, a kind of simultaneity. Because of this quality of simultaneity, I have picked on the term “synchronicity” to designate a hypothetical factor equal in rank to causality as a principle of explanation. My views about the ‘archaic remnants’, which I call ‘archetypes’ or ‘primordial images,’ have been constantly criticized by people who lack a sufficient knowledge of the psychology of dreams and of mythology. The term ‘archetype’ is often misunderstood as meaning certain definite mythological images or motifs, but these are nothing more than conscious representations. Such variable representations cannot be inherited. The archetype is a tendency to form such representations of a motif—representations that can vary a great deal in detail without losing their basic pattern. ‘synchronicity’: a meaningful coincidence. For example, you think of your friend, and then they call you out of the blue. This has meaning to you, and it does not appear likely that you thought of your friend because they were going to call you, or that they called you because you thought of them. Thus there is no ‘causal’ relationship between the two phenomena, but they represent an obvious significance, an apparent connection, to you. ‘archetype’: a pattern of personal traits which seem to manifest in separate individuals. For example, the archetype of the ‘jester’, whose major characteristic is the use of humour, not merely as a means to amuse himself but also to influence those around him. Think of Jim Carrey’s characters in The Mask, Batman Forever, and The Grinch, and consider that the similarities between these characters go beyond their jokes and green colour. Note that archetype is not limited to fictional characters. ‘collective unconscious’: information innately available to humans across time and place. It is accepted that newborn infants somehow ‘know’ how to breathe when born, instinctively. The concept of the collective unconscious goes much further and posits that information beyond basic survival habits are also ubiquitous throughout humanity, not genetically, but in real-time, as though by telepathy. So long as you have a basic understanding of what is meant by these terms, most of what is meant by synchromystics when speaking of them will be clear to you. According to Stanford, the etymology of ‘mysticism’ indicates that that its Greek root meant ‘to conceal’, and derivative words mean/imply ‘initiate’. A separate source corroborating this claim can be found here. Therefore it is fair to say that, etymologically speaking, ‘mysticism’ has something to do with hidden/protected information and the teaching/seeking of it. In contemporary times, of course, the term has been adopted and appropriated by all manner of persons (including deceived and deceivers) and therefore has no single, widely-understood meaning. Claim to fame: Coined the term ‘synchromysticism’. Basic bio: South African male, now apparently living in Winnipeg, Canada (where he has resided for at least ten years); appears to be approximately 35-40 at present. ‘The Sync Whole’ – which was last updated May, 2016. The archive figures on the right of the latter blog suggest he made more than 200 posts in both 2009 and 2010, but since then has gradually dwindled to just a few per posts year. ‘Seallion’ Vimeo account – currently hosts 43 videos, but only one new video has been posted in the last twelve months. ‘Seallion’ YouTube account – currently hosts approximately 80 videos, but only one new video has been posted in the last twelve months. Claim to fame: Compiled and edited The Sync Book (volumes #1 and #2) and appears to have been the chief organiser of the 2014 Sync Summit (see below). Basic bio: In his interview with (now-defunct?) Critical Mass Radio in 2012, Green says that he is 32 years old, which would mean he is now in his mid-thirties. Online footprint: His website allthehappycreatures.com has not been updated since the 2014 Sync Summit. These appear to be the ‘high water marks’ of the synchromystic community/field of inquiry. SB #1 was published on September 11, 2011, and as of April 2017 has a 4.7 average review rating on Amazon across 23 customer reviews. SB #2 was published on November 26, 2012, and as of April 2017 has a 4.8 average review rating on Amazon across 9 customer reviews.I have not yet read either book, and have been unable to find pdf copies onlines. It goes without saying that they are high on my reading priority list. Alan Green (Sync Book Press) – Editor – Still active [see Section 6 of this article]. Rodney Ascher (Room 237) – None – Still a film director, does not appear to have much to do with ‘sync’. Joe Alexander (BarelyHuman11) – #2 – Dormant? [See Section 7 of this article]. Frater X (Middle Chamber) – #2 – Dormant? Website appears barely touched. Marty Leeds – None – Still a content creator but does not appear to have much to do with sync – latest sync post on his site from early 2015. Will Morgan – #1 – Still active via thesyncbook.com podcast 42 Minutes. Scott Onstott – #2 – Still an author but does not appear to have anything to do with sync. James Evan Pilato – None – Still runs his website but does not appear to have anything to do with sync. David Plate – #2 – Still active via thesyncbook.com podcast Always Record (although has not been on the show since late 2016). Ezra Sandzer-Bell – #2 – Inactive. Website now parked. Michael Schacht – #1 – Active via own website (although only one post in last twelve months). Andras Jones – #1 – Still active via thesyncbook.com podcast 42 Minutes. Also of note is that the promotional video for their indiegogo campaign leading up to the Sync Summit, as of April 2017, has less than 1,000 views. It would appear that thesyncbook.com is not only the hub of sync work at this point in time, but the only major driving force keeping the ‘community’ active. Claim to fame: Produced Back to the Future Predicts 9/11 – the most popular sync video ever published. Basic bio: Says he says he is a basketballer (and part-time model) who lives (or has lived) in Italy and Israel, and grew up in China (where his father worked). Apparently no website of his own. YouTube channel BarelyHuman11 currently hosts ten videos. Secondary YouTube channel Apophenia Productions currently hosts three videos. Has apparently taken part in several podcasts through thesyncbook.com but they are all behind the paywall. No new videos have been uploaded to his channel since BttFP9/11. A video featuring two new interviews was published to the syncbookpress YouTube channel late 2015. One interview was conducted a few days before, and the other a few days after, BttFP9/11 went viral. The article above is claiming that ‘apophenia’ was introduced to English in 2001 by Peter Brugger. I have not yet had the time to track down the primary evidence to support this assertion. Several other secondary courses, however, do corroborate the claim that Klaus Conrad was responsible for the root term apophanie (Skepdic, The Guardian). The notion that Brugger was somehow responsible for either introducing (or, at the least, popularising) the term ‘apophenia’ is supported by this 2001 study which lists him as co-author and cites Conrad when discussing the term. In any event, the commonly-accepted meaning the of the term was well-established by the time Alexander began producing videos. His decision to use the term, therefore, deserves attention. Why would a person interested in promoting and popularising ‘synchromysticism’ label his productions with a term which implies that those who give the field any serious attention may be either suffering from, or on the verge of, schizophrenia? Perhaps Alexander discusses this in one of the interviews behind the paywall at thesyncbook.com. I would ask him about this myself but he does not appear to have any direct method of contact. For those who are new to the field of ‘synchromysiticism’, it is certainly worth familiarising yourself with the concept of ‘apophenia’, as well as ‘skeptical’/’scientific’ challenges to the broader notion of ‘synchronicity’. This article, which uses (and explains) basic probability to illustrate the fact that coincidences should be expected to occur regularly, may be a good place to start. Although published by the ‘Committe for Skeptical Inquiry‘ (think Carl Sagan), the content of the article itself is valid. That is, their use of relatively simple mathematics to demonstrate that seemingly-unlikely events are in fact often very likely, is logical and based on legitimate mathematical concepts. That coincidences, even seemingly-unlikely ones, occur every day is not in and of itself surprising or even remarkable. That those of us who begin thinking about these sorts of topics then start to notice more coincidences in our lives is also not surprising. Those who want to get full value from their own exploration of synchronicities in art and pop culture – and life/existence in general – may be well-served by learning about the inevitability of coincidence before attempting to find meaning in coincidence. Although I first saw barelyHuman11’s video a fair while ago – probably not too long after the original version was published circa mid-2015 – I only began looking further into ‘synchromysticism’ earlier this year. I have been a regular listener of fakeologist.com since Jan/Feb 2015, and the administrator of that site, ‘Ab Irato’, has a tendency to play Crime of the Century by Supertramp as an intro/outrro song for his podcasts. 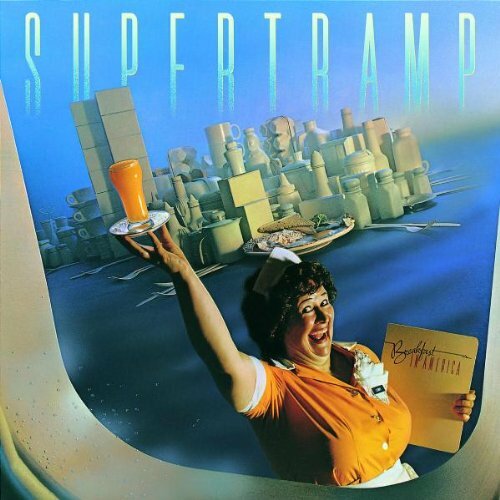 I was aware of the apparent 9/11 connections featured on the artwork of Supertramp’s 1979 album Breakfast in America, and one day decided to procrastinate by taking another look at it. Soon I found the artwork for …Famous Last Words…, and instantly made the connection between the wire-walking and the 2015 Robert Zemeckis film The Walk (which I had learned about through barelyHuman11’s video). I hope to have the piece published and available to Full Members of this site by April 12, which is one week before I am currently scheduled to depart Brisbane to begin filming for Dinoskeptic. If the feedback to the piece is positive, I will then make it available to the public as soon as possible (ideally before I depart for Brisbane). Stay tuned! If you prefer the written format, here is just one example of what synchromystic blog posts look like. If you are interested in checking out The Sync Book or The Sync Book 2 for yourself, then consider purchasing your copy via the links below. Talk about timeliness, dare i say coincidence? Fresh off a comment yearning for rope to pull me from of the quicksand of the truth seeking scene, a stretched hand beckons! And while I’d watched the video and have seen / read of such oddities in films – as well jung – I couldn’t be more thrilled to see what’s coming regarding original discoveries AND their synthesis toward this existence. unseen interconnected tissue – loose or dense – binding the matrix of systemic clues, while providing insight into existential issues, supply much needed oxygen to vital organs, and structure for the eyes to function properly. i’m a glutton for material like this, specifically the meta aspects. I’m really interested in the idea that events have been faked in ‘obvious’ ways. Obviously Sandy Hook or the moon landings could’ve been faked more convincingly than they were. This idea that maybe they were made in such a way to allow the viewers (if thinking honestly) to realise they are fake is very interesting and perhaps speaks to the worldview of TPWRTS. Hey local chump.. got it in one, my friend ! ‘Deception’ is the name-of-this-game, with a malevolent twist, just for the hell of it.. The Two Planes – with plane number ‘one’, appearing as a regular plane, flying into a building.. yet plane number ‘two’ appearing as a computer-generated insert, disappearing into a building.. ‘no planes’ ? The Pentagon – with the plane crash impact hole to the front of the building, yet ‘no plane’ whatsoever in the scene..
Shanksville – with the plane crash site, having ‘no plane’, no wreckage, no nothing, in the scene..
Building Seven – with the worldwide BBC TV news, reporting it had collapsed, yet the building was still in tact, behind the newsreader on the TV screen scene..
For those with eyes to see and minds that ‘think’, the evidence of their chicanery, is right there ! I have big plans for this. In particular, I have already done all of the research and conceptual work necessary to produce a short film based on the 9/11 -> 2001 links. Like all of my ongoing projects, there is no set deadline or expected time of completion. When the next piece is ready to go, members of this site will be the first to know! There was this time 13 years ago when I took some [sil-ah-suh-be] mushrooms (back then it took very little to ring my clock) and I remember having a very difficult time. I felt like I was neck deep, or deeper, in pure madness. Denser and quicker than quick silver. I remember back then I had foil on my windows because I was working an early morning shift. The way the foil totally blocked out the sun light confused me in a primal kinda way and I remember being disoriented and tearing off the foil in a crazy, desperate, clawing for the light kind of way. Anyway, I remember feeling like I was slipping fast and just then I picked up “Leaves of Grass” from the carpet and it was like a piece of driftwood that saved my life. I had tried reading those poems before but they didnt make any sense, they werent even musical in a catchy way. But when i was tripped out I suddenly understood them. Below is an excerpt from Leaves of Grass that I have been thinking of recently. Also, I have been on a loop lately rocking tfo to Pink Floyd’s “In the Flesh”. Two people very close to me are about to have C sections. Rtfo!!! Just want to commend you on your work to date on the illuminati card game. I particularly enjoyed part 8, as I have a hunch that a lot of what is going on around the world with western governments is just a sophisticated form of money laundering. I don’t know if you noticed that on the Swiss bank account card, although the door did not seem to have a number on it, if it did it would be 666 if you look at the surrounding doors. Look forward to you releasing the next chapter. Thanks for the kind words, Dave. Yep, the 666 is prominent. Hopefully in one of the Member Skype calls we will get a chance to discuss ‘666’ and occult concepts related to these kinds of things. I don;t know when I will get around to releasing the rest of the ICG series. It is already researched and mostly written; it is simply a matter of ‘so many topics, so little time’. The so called synch community has gone downhill since 2010. Pursuing synchronicity does not look like a productive endeavor. I hear Alan Green making excuses, blaming Flat Earth, the Alt-Right and Red Ice for his lack of focus in a recent podcast. I find it funny how Green describes as “a nightmare” the fact that some people are worried about the future of the white race. He thinks that preoccupation is just stupid. But the “racists” seem to have more energy than the “synch heads”. What if we are all one consciousness? It seems too crazy, but it’s an idea according to old time religions like Hinduism and Buddhism. But on the other hand, this life seems too mundane to be the outcome of something so sublime. If life were a video game, who would want to play it? I sort of have this idea burned into my consciousness that the past never actually happened. Note: everyday sleep is your consciousness submitting and killing itself. Even the most devoted speed freak only spends a few days keeping their consciousness alive. I completely agree with you that the Sync Book e-community seems to have gone downhill over the past few years. Their zenith appears to me to have been circa 2012 when the second book was released. That was a long time ago, now. Joe Alexander made a major breakthrough in 2015 with his ‘Back to the Future Predicts 9/11’ viral video hit, but even Alan Green himself concedes that this amounted to little more than a sugar hit. The masses saw some of the best work the Sync world had to offer, they watched for a few minutes, and then clicked on the next video in their subscription list. That was it. You left your comment the day after I listened to the latest Alan Green appearance on 42 Minutes, so I was somewhat pleased to see that somebody else had gotten a similar vibe from Green as I had when listening to that call. I think you are correct: it seems like Green wants to blame Red Ice, the ‘white nationalists’, the ‘alt right’, and even Flat Earth, for his own waning motivation to keep working on his website (and Sync more broadly). Note that Green has been lamenting Red Ice et al. for at least five years now. This is nothing new. Kyle Hunt wrote a chapter for The Sync Book 1 and then shortly afterward became a leading figure of the white nationalist scene. Green seems to have been bitter about that fact ever since. At the same time, as I explained to Mezzie and Fuhng during our after-call chat last week, I remain tremendously grateful for Green and his associates. I have gotten so much out of their work and will continue to promote the Sync Books. It is a shame to see that their platform may be slowly but surely fizzling out, but the silver lining is that this presents people like myself — and hopefully a few of the members of this site — with a fantastic opportunity. Imagine if somebody could come along and take the best of what the Sync Book has to offer, filter out some of the less impressive (or more subjective) stuff, then delve deeper and find even more connections among the good stuff, and then present it to new audiences in formats and styles which resonate with people previously unfamiliar with the concept of Sync. This is a goal of mine. I will try to do what the Sync people did, even better than they did. Hopefully at some point in the future, somebody else will come along and build upon my work in the same way, and so on and so forth. This is the ideal of collaboration in the internet age, in my opinion. I would prefer to see Green et al. dust themselves off and build towards The Sync Book 3 and bigger things beyond. If they wont or can’t, then I will look at the bright side of the situation and use it to my advantage. They have unlocked something very special, in my opinion.